Our co-edited volume, Media Archaeology: Approaches, Applications, and Implications has been translated into Chinese. The translation (媒介考古学：方法、路径与意涵 ) is published by Fudan University Press (earlier translations by the press has included e.g. Friedrich Kittler’s Gramophone, Film, Typewriter). Furthermore, the book will be launched in late April with a seminar on “Chinese communication research from the perspective of media archaeology” in Wuhan. I had the pleasure of being one of the participants in the Media Archaeology summer school in Montreal at the Residual Media Depot (Concordia). Invited by Darren Wershler, and teaching alongside also Lori Emerson, we had a wonderful group of participants from Canada, Finland, USA, UK and Spain whose own projects and their work at the Depot during the week demonstrated a fantastically broad spectrum of what media archaeology can perform. I could not emphasise the word perform enough: while we engaged with the theoretical limits and limitations of theoretical work in and around media archaeology, including how it interfaces with for example infrastructure studies, the various probes the students presented and the hands-on work in the Depot investigated the idea of collections as part of the methodology. The performative aspect of media archaeology – and theory broadly speaking – allows to both see it as a situated practice that benefits from its access to institutions and collections as well as creates the space for such to exist: to imagine a media archaeology lab or a collection becomes also a projective way of engaging with the current themes of reshifting humanities infrastructure and institutional changes. As Wershler and Lori Emerson, the director of the Media Archaeology Lab at Boulder, Colorado, also underlined, it is through the particular materiality and access to collections that one can think differently in relation to what are often deemed objects of (media) cultural heritage. Relating the course’s themes to also his own research, Wershler explained how his interest in the cultural life of signals builds on work in the Depot too. To engage in the work of assembly through old but still functioning systems one is led to understand the various ways the life of signals is constantly constructed and re-constructed across multiple fields of agency from hobbyists to the mini-industry building the various technological tools for an afterlife of for example consoles. Media archaeology embodies multiple temporalities. The different theoretical frameworks from Erkki Huhtamo to Siegfried Zielinski to Wolfgang Ernst are different solutions to the problem of time – how to approach time differently in methodological ways and in ways that understand technical temporality. For example, Ernst’s ways of approaching time criticality and temporal operationality are something that both offer a different ontological take on technology and also can act as interesting guides in how we work with collections such as the Depot. In my view, the Residual Media Depot was a perfect platform for the workshop. Wershler had designed the week as a mix of theoretical investigations, student probes and practice-based work that functioned somewhere between maker methodologies, art practices and an archival interest in collections that are important for media theory too. The collection is focused on cultures and technologies of gaming with a special focus on consoles, but as Wershler emphasises, it is not a game archaeology depot. The consoles and the material around them is an entry point to media history and signal culture. In several ways, the Depot’s work aligns nicely with the Media Archaeology Lab but also with our AMT group: to establish a framework and an enabling situation for a research-teaching continuum that is interested as much in practice-based work as it is in explicating what practices of theory are. All of this feeds also as part of the Lab Book we are writing together. You can find more information about the Depot on their website and on the same site you can find all the student probes from our week of Media Archaeology. The Residual Media Depot (RMD) is a project of the Media History Research Centre in the Milieux Institute at Concordia University. Siegfried Zielinski asked me to write a very short dictionary type of entry on “Archaeology” for an exhibition catalogue. The exhibition will take place at Edith Russ Haus for Media Art in 2014 and they are going to do an exhibition on Zielinski’s AnArchaeologies and Variantologies, including some artistic positions by David Larcher, Herwig Weiser, Anthony Moore and others. Below my contribution. The 19th century disciplinary invention of “archaeology” has had major impact in and out of academia. Besides the specific methods for investigating the material remains of human cultures, of building on the fragments to create collections, narratives and modes of preservation for a varia of objects and documents, the archaeological imaginary penetrates our audiovisual culture. It persists as an imaginary of itself: the narratives and images of hidden treasures waiting to be ungrounded. And it persists as the conceptual legacy that comes not only from archaeology proper, but also from Immanuel Kant. Such an understanding shifts from archaeology proper to the archaeology of knowledge in Michel Foucault’s sense. It displaces archaeology restricted to material excavations and works it into a method of archival and philosophical conditions of knowledge – its objects, statements and assumptions. With media archaeology as practiced by a variety of scholars from Siegfried Zielinski to Erkki Huhtamo, Thomas Elsaesser to Wolfgang Ernst, and even with Friedrich Kittler’s earlier writings, the material returns at the centre of the archaeological dig. It has many different meanings and ways of adopting to the object of investigation but it insists on irreducibility to the textual. Indeed, what in archaeology are the methods necessary to approach the time before writing and the document pertains for media archaeologists both to the pre-cinematic as a similar rhetorical field of investigation and to the ontologically important idea of the arche as a command – even a technological command as the starting point for ungrounding media cultural ruins still present. Aivokuvia sounds much groovier in Finnish than in English; the translation to the word would be “Images of the Brain”. But it also resonates with the idea of “brain scans”, making the term more interesting in English too; a nod to Deleuze’s film theory, but also to the fascination with the materiality of the corporeal brain, interconnected with possibilities of perception and sensation, but also with the cultural-technological framing of it. Professor Jukka Sihvonen, whose 60th birthday is celebrated by a seminar as well as the launch of his new book Aivokuvia, has always been someone who in his writing incorporated a fantastic sense of the potentials in Finnish language and how to bend it as an active medium itself for the writing of media and film theory. 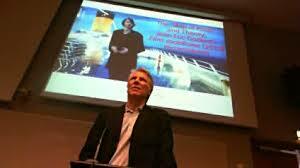 Sihvonen is a major figure on the Finnish scene as well as for my personal development: he was the one who introduced so many of us at the University of Turku, 1990s and onwards, to the theoretical figures of Paul Virilio, Gilles Deleuze, Friedrich Kittler and others. Besides proper names and theorists, he inspired us to engage in a certain mode of thinking: rigorous, but creative; refusing the most obvious questions and answers; a style of thinking in the Deleuze-Guattarian sense of the word. After his Deleuze-course, we spent several extremely long houred sessions with Teemu Taira and Pasi Valiaho excavating A Thousand Plateus in our reading group. Sihvonen spoke about Virilio and video games; he suggested to read Kittler, and made us ponder what this odd German theorist was trying to say in his Kittler-deutsch. Some of us went on to participate in Kittler’s seminars, some in Wolfgang Ernst’s, both at the same address of Sophienstrasse 22. I myself owe so many of my research ideas to his inspiration – insects, for instance. Sihvonen’s interest in Cronenberg was probably initially behind that route. A bit in tongue in cheek (yes, do not take such branding exercises ever seriously)I have also called him one of the master minds behind a “Turku School of Media Studies“. 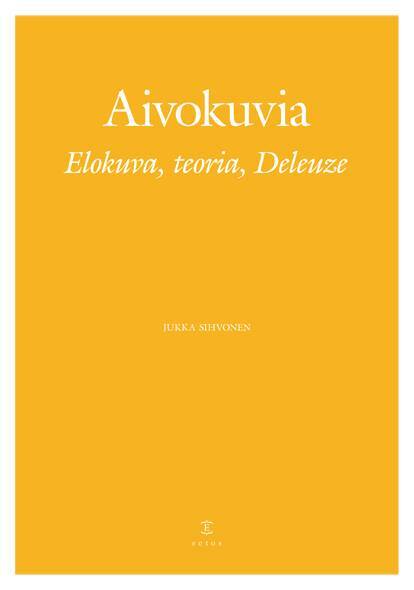 The new book Aivokuvia is exemplary of his interests over the years. It is more of a film theoretical book: Aivokuvia ties together the films of Tarkovsky, Bigelow and Cronenberg with the philosophical engines of Deleuze and others. Besides this new book, it is still Konelihan varina [The trembling of the machinic flesh] which is my favourite book of his, and which really as a student inspired me to dive in to theories of media and technology enmeshed in a cultural historical context. University of Turku is organising the celebration seminar Video: media, taide, teknologia [Video: media, art, technology] as well as the launch of Aivokuvia, published by Eetos-association. I wish I could be there to celebrate. Warm congrats to Jukka. Looking forward already to the next book of his. Huhtamo wrote a book on the moving panorama – Illusions in Motion – and here is an interview with him. So if media archaeology is what keeps you up all nights, dig in. And if you are a lucky one, and in Paris, here is something connected. Below a press release of an exhibition endorsed by Huhtamo. The text below is from his keyboard. With his team of technical experts, Favand has created an outstanding mastery in this emerging field. However, there has been a problem: Musée des Art Forains is a private museum. Although it is open for banquets and organized events all year around, the general public is only able to visit it a few times a year on special occasions. It is therefore not so easy to experience its sumptuous displays that combine traditional fairgrounds and digital magic in the spirit of the Cabinets Fantastiques of the past. For the first time, Favand has brought his imagination out of the museum, displaying his creations at the Centre des arts d’Enghien-les-Bains near Paris (a 15-minute train ride from Gare du Nord). What one experiences at Enghien-les-Bains, an idyllic lakeside resort town that seems very far from the French capital, is a series of curious and inspiring works one is tempted to call media archaeological. Although they use ideas of Favand’s museum displays and exhibits, that are also entirely new. At first look the exhibition seems eclectic, but one soon discovers the common spirit behind everything. There are found objects like a Japanese doll, unusual pieces of wood, and a Chinese stone slab inserted in a wooden frame, all animated by projections. There are also two unique diorama canvases from Favand’s collection. They were originally displayed by a nineteenth-century touring show named Théatre Mécanique Morieux de Paris. Its remains were discovered some years ago and bought by Favand. A once so popular but lost medium re-emerges at Enghien-les-Bains, restored by Favand’s team of experts. Already experiencing the dioramas and their effects is worth the visit. But there is more: the exhibition also includes a mechanical spectacle named La Fete du Soleil (the Festival of the Sun), also from the repertory of the Théatre Morieux. Ingenious mechanical marionettes traverse the scene, brought to life by digital projections. It is not possible to discuss all the exhibits here, but I would like finish be mentioning a favorite of mine, an interactive display that allows the visitor to manipulate a digital 3D simulation of a seemingly ordinary stone, much like the stones that form the pavements of Village de Bercy, a popular destination in the heart of Paris. No-one seems to pay any attention to them, except Favand. This exhibit takes us to the heart of Favand’s art: whether it uses antique objects, found pieces of naturalia, or digital and interactive displays, it constitutes an extended act of looking. Favand persuades the spectator to stop and wonder. He seems to say: there is nothing prosaic or boring; everything is saturated with meanings and experiences; the task is to stop, pay attention, and wonder. Virtualia does exactly that. Its exhibits are not as spectacular as the ones at his museum (the exhibition hall at Enghien-les-Bains is rather limited), but the spirit animating them is the same. Go and see yourself! Not every professor has an office like this. Peep into Erkki Huhtamo’s (UCLA) media archaeological office through this video, and get a taster of his enthusiasm as a collector: zoetropes, mutoscopes, kinetoscope. It demonstrates the curiosity cabinets of media history but also the need to train specialists who are able to maintain these instruments as part of the living heritage of media cultures outside the mainstream. The devices prompt us to ask questions concerning difference: how different media culture could be, and has been. The video is a good insight to the just released Huhtamo book on the moving panorama: Illusions in Motion, just out from MIT Press.